How many ways have you photographed sunset? We were on Kapispisan Island in Tangalan, Aklan, the site of a major mangrove reforestation effort. We arrived just in time for low tide, very low tide. A footbridge that connected neighboring islands was now perched on dry land. 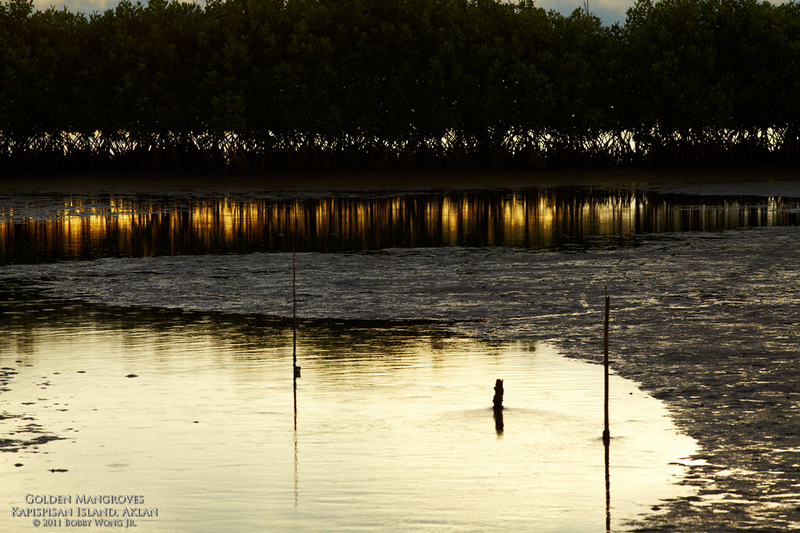 And around it, random puddles of water is interspersed among isolated stands of mangrove. I instinctively glanced westward and saw the sun had begun to set behind a row of mangroves. We're going to miss this one, I thought. It helped that we decided not to leave for a better vantage point. The ultra-low tide meant our boat could be beached on the way to the other side. The only recourse was to find a way to see the colors of sunset in spite of the mangroves, and that's when we saw the puddles of water turn a deep orange as light streamed through the undergrowth. I had been chasing twilight for over five years now. This was a first. Enjoy. Where in the world is Tangalan, Aklan?